I was very excited when reading this month’s Daring Bakers challenge for two reasons. 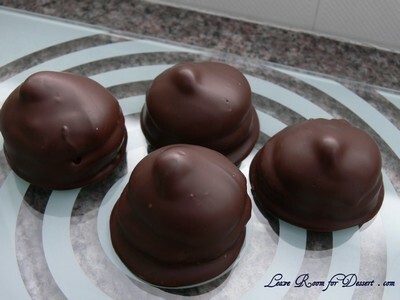 The first was seeing the Choc Mallows, which I’ve loved eating (called Royals by one company here in Australia) but never thought about making, and was very excited to finally make marshmallow. 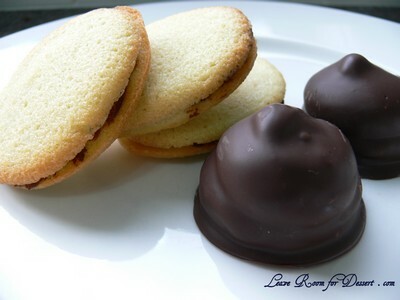 The second was the Milan Cookies, which I’ve never tasted before, but was very glad they used so many eggwhites. 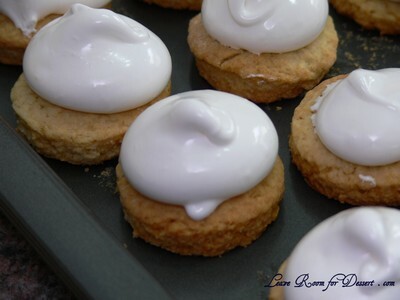 (This may seem a little weird, as many people were asking what they should make with their left over egg yolks, although I already had 18 egg whites left over from making a Crouquembouche – with the most fantastic custard). I froze the egg whites in lots of 6, and this was the perfect amount for one batch of Milan Cookies. 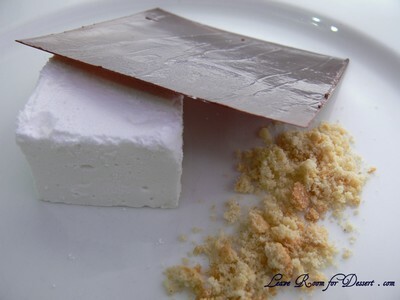 I was extremely happy with how the Mallows turned out – the combination of biscuit and marshmallow covered in dark chocolate was just fantastic and very much similar to those from the shops. I didn’t think the biscuits tasted that great without the other two components and unfortunately the recipe made around double than necessary for the marshmallow and chocolate – so if I were to make it again, I would make half the biscuits. The Milan biscuits tasted lovely, especially (almost) straight out of the oven. 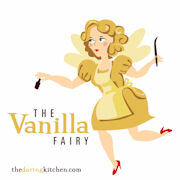 Unfortunately I had no lemon essence or orange and therefore had vanilla cookies with a chocolate ganache filling. 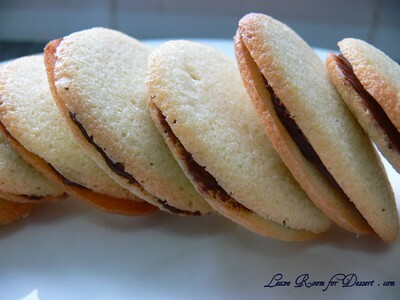 Thanks to Nicole for the great idea and introducing me to two new biscuits and great recipes. I enjoyed the challenge and was very happy with how they both turned out. 5. 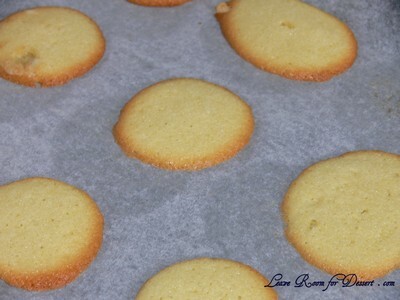 Bake in a preheated 350 degree (180C) oven for 10 minutes or until light golden brown around the edges. Let cool on the pan. Filed under Cakes, Slices and Biscuits, Chocolate, Daring Bakers, Egg Whites, Recipes. You can follow any responses to this entry through the RSS 2.0 feed. You can leave a response, or trackback from your own site. Love love your creations. Both look absolutely perfect! 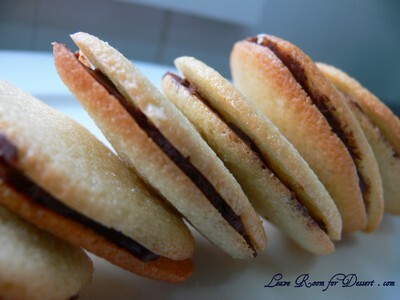 The milan cookies sound lovely with choc-orange filling. It’s lucky you had a supply of eggwhites ready! I love your artistic interpretation of the mallows, it looks so pretty. I would eat it in a flash. I think I’ve been aussie-ized, the mallows need jam….but I’m sure thats something I can get over! I applaude you and the other Daring Bakers for simply making marshmallows!!!! 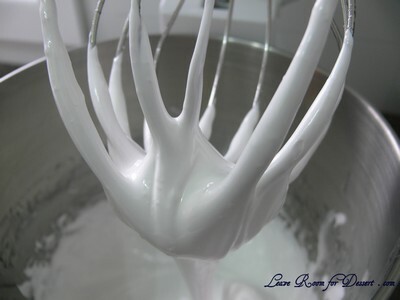 I can’t even begin to imagine myself making them – it looks so complex and your mallows are pro!!! Fabulous cookies. Well done on both.I did just the mallows & fell in ♥ with them! Yours are perfect & very pretty! Well done on tackling both! Your cookies look fabulous! Your cookies are very beautiful and extremely tempting! Love your deconstructed too, so creative! 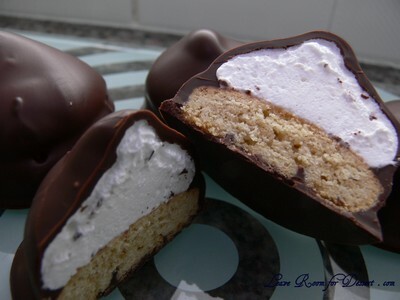 Beautifull Milano cookies and Mallows! 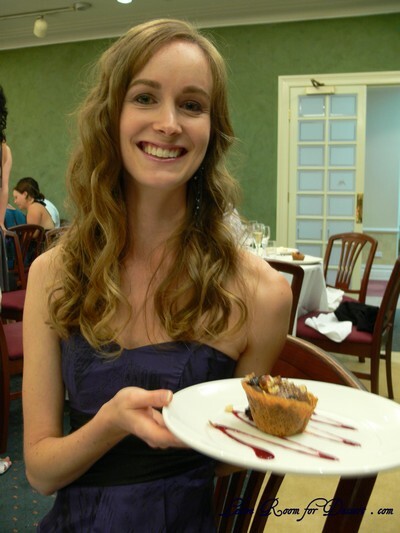 I like how you arranged them on the plate – nice photo! All in all great job 🙂 Cheers. Your artistic version is spot on! Both your cookies look amazing. I would buy both from the bakery! Holy crap you are an amazing baker! What gorgeous little pillowy chocolatey goodness! They look absolutely perfect!! I wish I had the patience and skills you have! Yum!! All of your cookies look amazing – I especially love the artistic version of the mallows =D. Very impressive cookies! I especially love the beautiful marshmallow! Wonderful results! 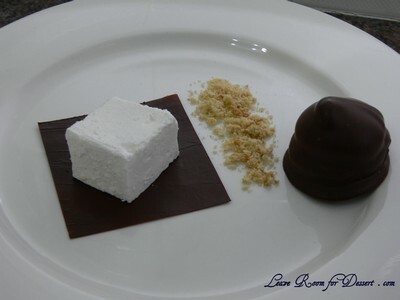 The deconstructed Mallow looks very fun! Great Job! Anita, you’ve done such a lovely job of your cookies. Amazing! Your artistic interpretation is really quite nice! 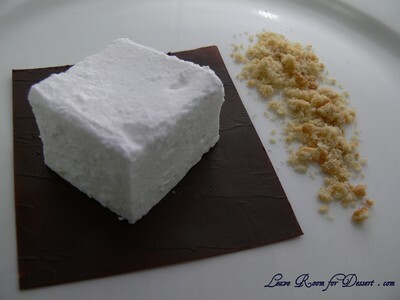 I’m starting to wish I’d made the mallows, too – yours look perfect. You’ve all been very supportive of the Daring Bakers Challenge! Thank you so much! I really enjoyed the challenges and loved the result. I enjoy reading all your lovely comments immensely!! Thanks Again and I look forward to next month’s challenge!